One of the essentials to any craft fair booth is a tablecloth. If you have an eye-catching and complimentary tablecloth to cover your tables, then your craft booth design will instantly come together. Tablecloths come in handy too because they allow you to keep your extra merchandise under your tables without being seen by the public! 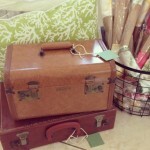 You can also keep your other craft fair essentials hidden away, but within easy access. There are an endless variety of tablecloths for a craft booth, but none are more special than DIY tablecloths. You can use a tablecloth pattern to make your own, personalized tablecloth to fit your craft booth design perfectly! 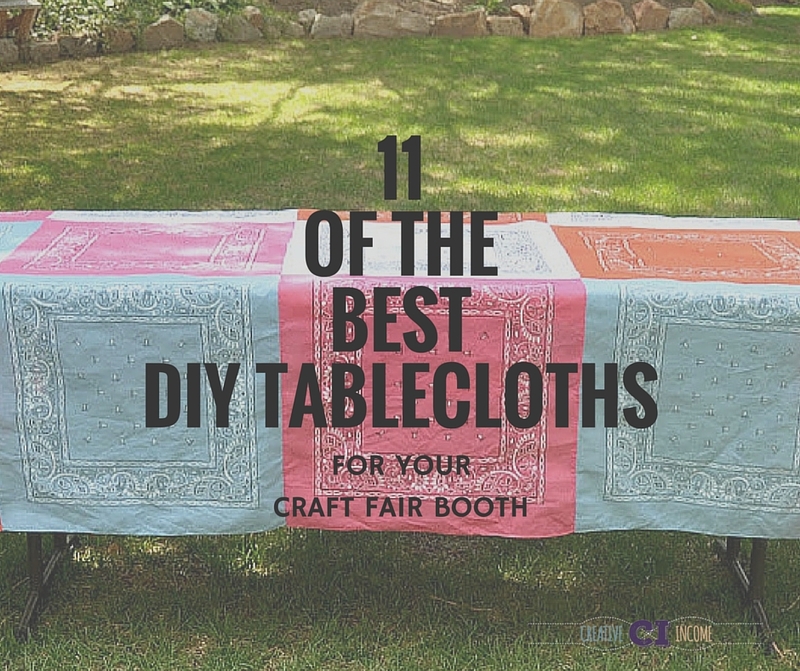 Scroll down for our list of the best DIY tablecloths for your craft fair booth. One Night Tablecloth: Have you found yourself in a pinch for time or simply don’t want to invest too much time and effort into your craft booth tablecloth? Then this ultra-fast tutorial is for you! Southern Charm Ruffled Tablecloth: You simply don’t get as classic and charming as this DIY tablecloth. 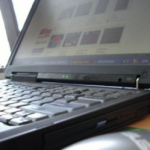 Your merchandise will be free to be the stars of the show. 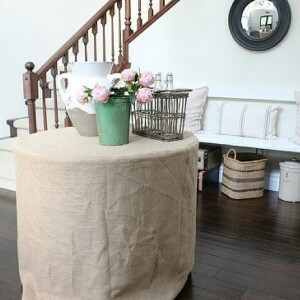 Easy & Simple Burlap Tablecloth: Burlap is always a favorite here at CreativeIncome. 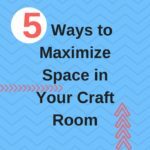 It goes with every craft booth design and it’s such an affordable material! 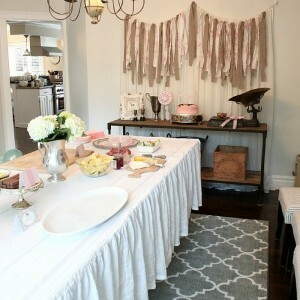 Try using old, thrifted burlap bags for a really unique burlap DIY tablecloth. 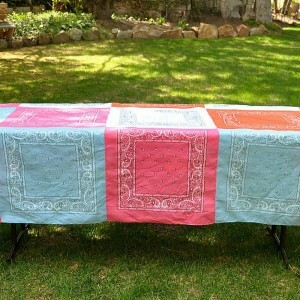 Bandana Quilt Tablecloth: We can see this tablecloth in so many different styles of craft booths whether you’re going for a Western, thrifty, or rustic theme — this tablecloth is budget-friendly with tons of character! 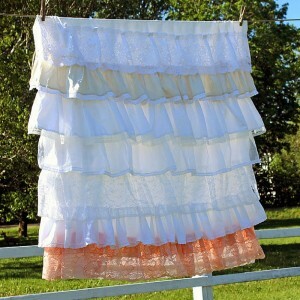 Romantic Ruffled DIY Tablecloth: Ruffles are so much fun! Add that flirty, fun touch to your craft booth design with a super ruffled tablecloth. 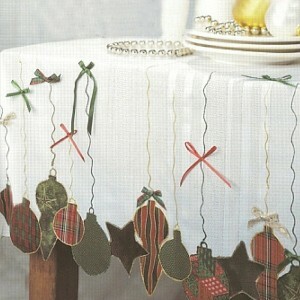 Christmas Ornaments Tablecloth: We haven’t left out the Christmas craft booths! This DIY tablecloth is wonderfully festive and unique. Free Crochet Tablecloth Pattern: This tablecloth pattern would be especially perfect if you sell crocheted items. Why not show off your skills? 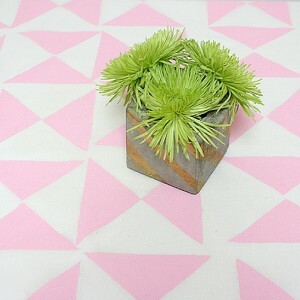 DIY Geometric Tablecloth: This bright and bold tablecloth is a standout! 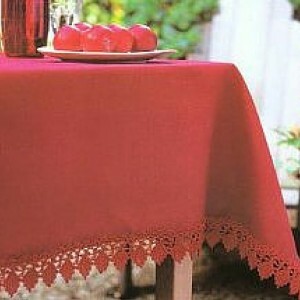 No-Sew Scalloped Tablecloth: We love the scalloped detail on this simple, no-sew tablecloth. 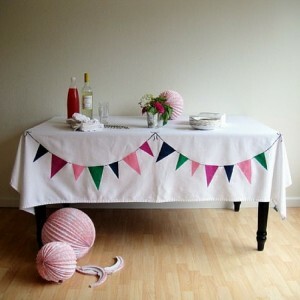 DIY Bunting Tablecloth: Bunting has become a craft booth display essential, so why not build it into your tablecloth for a unique twist on the trend? 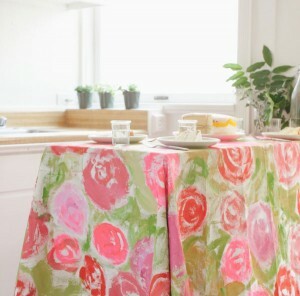 Painted Floral Tablecloth: We can’t believe that this tutorial for this GORGEOUS tablecloth is so easy! Comment below and let us know, which of these DIY tablecloths is your favorite? 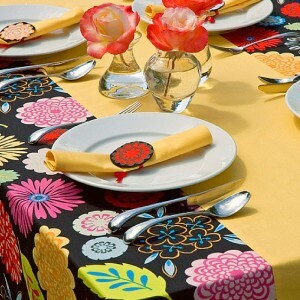 I really like the ideas for tablecloths. They are attractive, but won’t take away from your product. It made me think about another one. A tie-dyed sheet in soft colors, so as not to compete with your products. Or the tie-dye in soft colors, but only on the front of the cloth that would hang over table. We LOVE the idea of using tie-dyed sheets — thanks for the idea Phyllis! 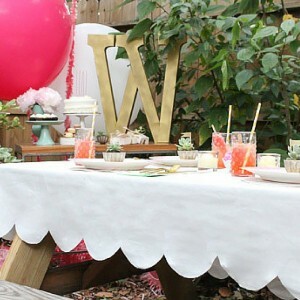 I made custom fitted table cloths for my tables, but I’m beginning to think that I might want to have a ruffle instead of flat sides… I’m debating adding velcro or something of the sort to make it so that the ruffle doesn’t always have to be there (in case I’m at windy out door shows or just want a different look)… But Then if I don’t use the ruffle the velcro will show. Any ideas?? I thought about buttons or something too but I’m not sure. Maybe I should just make a new set of table cloths. Also saw a FANTASTIC idea for fitted table cloths that included pockets on the backside for all of the things you always need at a show. This one is definitely happening. How about ribbon in the width of your velcro, also backed with velcro? Different colored ribbon for different seasons or the same color as your table cloth for a mono color effect. Burlap is a favorite here as well.